From April 14th to April 17th, the world’s larges fine art trade show will be open and waiting for us to see. For the past 38 years, Artexpo has been the place where artistic fantasies come to life and extraordinary magic happens. Changing the way people buy and sell art, the expo brings together the biggest publishers, galleries and collectors along with fresh emerging talent – the best of both worlds. With over 400 artists, thousands of new works and more than 25,000 visitors, the show at Pier 94 will be a wonderful and exhilarating affair you will not want to miss. 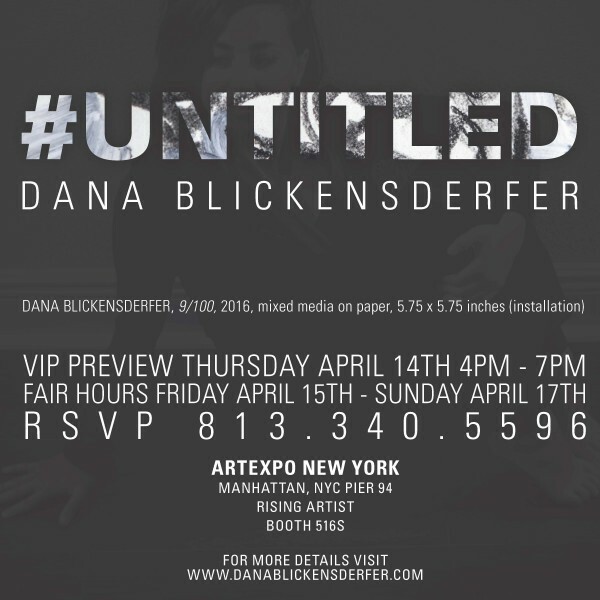 Dana’s exhibition, #Untitled, features her recent drawings on paper. Using stream of consciousness technique Blickensderfer creates a series of works on paper questioning notions of representation. Giving the viewer an opportunity to engage with her work in a non-imposing way Blickensderfer offers playful visuals. #Untitled, pulls away from past historical reflections of communication and invites the viewer to reflect on present day societal interaction. The drawings provocatively examine her personal and unique way of translating what society refers to as “snapchatting” or “selfies”. The interim state of the artist reveals itself in these bold, daring, and whimsical square drawings creating an almost still-like timeline of herself. The representation of the work may be expressed rather quickly or may have evolved over the course of a period of time. Such involvement in the process to create these works on paper subconsciously revealed a conversation between her and current cultural norms. 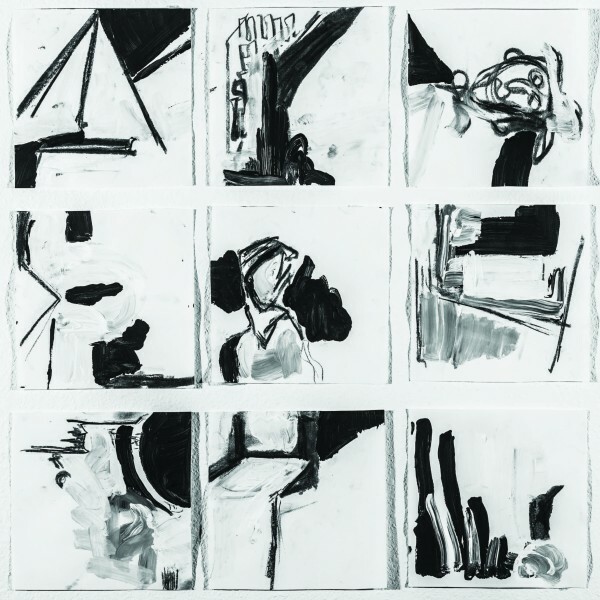 Not to be subjected to self-indulgence and current social pressures Blickensderfer satirically identifies herself in the limited frame of a small square drawing, much like a representational image seen online. As well, this exhibition allows her transition of the self, an exploration not to be stunted by society but rather to probe a conversation and provoke a deeper understanding of oneself beyond the surface. 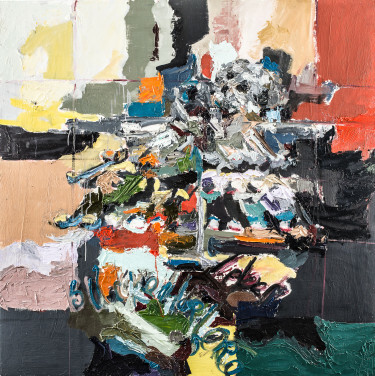 Most notable for working with color as a means to create her abstract work; Blickensderfer’s use of restraining her palette to black and white in her exhibition admits herself to a new freedom and shift from communicating her path to self-exploration through other forms. VIP Preview is Thursday April 14 from 4 PM – 7 PM. To RSVP contact 813-340-5596 or email info@weprovokeart.com. Public hours are Friday April 15- 17. Visit http://artexponewyork.com/ for ticket information and show hours. 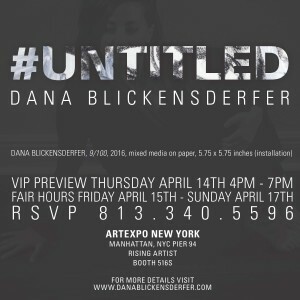 Dana Blickensderfer’s work will be located at booth, rising artist 516S during the fair.